There is perhaps no greater human bond than that between a parent and their child. At the same time, bearing children can be a difficult task, one that can bring both joy and discomfort and for some, mental illness. Often times, mothers and fathers can experience marital problems or find their pre-existing martial problems become exacerbated, once they have young children to care for. This can leave people in a quandary, do we separate to become happy or do we stay together to prevent the long-term consequences that parental divorce can have on children. One study conducted over a 30 year period by Slominski et al. (2011), found that the mental health of the mother when her child is only 30 months old (2.5 years old) may have consequences for her child’s romantic relationship outcomes decades later. Their children were more likely to be in less secure romantic relationships as adults, and were more likely to be anxious and avoidant in their intimate relationships. Furthermore, when a mother has had mental health problems during infancy, this study and other long-term studies (e.g. Beardslee et al., 1998) find that her children can be at a greater risk of developing mental health problems during adolescence. And further still, findings from this Slominski et al. study suggest that the mental health of a person in adolescence has implications for his or her romantic relationships up to several decades later, too. Children with more mental health problems at 13 and 18 years were less likely to be married or in a committed dating relationship at 30 years, and adolescents with more mental health problems at 13 and 18 years displayed more anxious and avoidant representations of romantic relationships at 30 years. 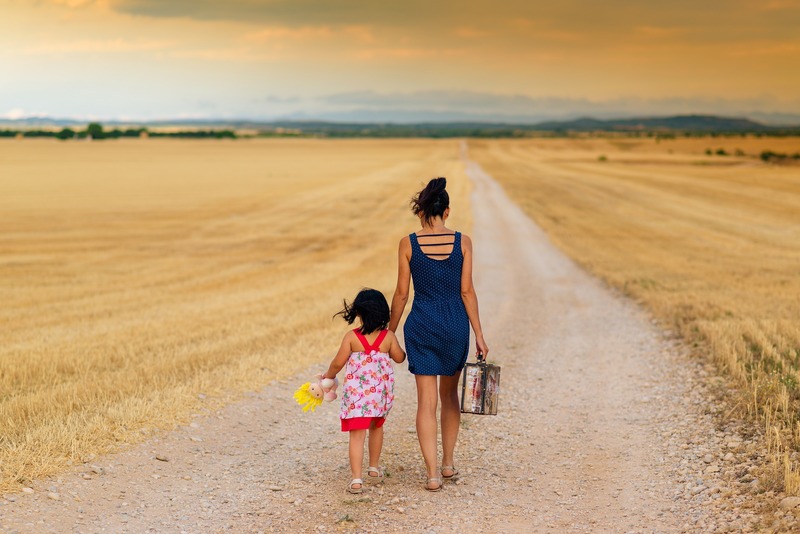 The currents study also found that families in which mothers had mental health problems early on, had higher levels of conflict according to reports by both the offspring and the mothers during the child’s adolescent years. Plus, children from families with higher levels of conflict grew up to endorse more anxious and avoidant representations of romantic relationships at age 30.
parents having marital issues that give rise to lots of conflict at home, may also better serve their children’s future by learning how to manage marital conflict in a healthy way. The good news is, there are many people who still go on to have good mental health and successful, satisfactory, healthy relationships in adulthood, even when they’ve identified mental health issues in their past or their parents’ past or parental divorce. This is because we are in control of the habits we create and the habits we break. It’s so important to remember that you are not doomed by your upbringing, or your personal past, so long as you are aware of how it may be shaping your attitudes and habits now…and then do something positive with that awareness. It’s not what happens or happened to us that matters now so much as what we do with it. go for a brisk walk or do some other cardio that gets your heart rate up. There are loads more research-backed self-care, emotion-regulation, and happiness-boosing tips in Resilient Me and Anxiety Free, and the aforementioned tips are explained in detail with research. You may be surprised at just how powerful simple acts can be in lifting you up little by little and then keeping you buoyant as you gain resilience and well-being. Ultimately, though, you have to address what’s making you depressed or anxious or worse. Do this on your own, with a loved one, or with a professional, but please just do it; you deserve to be happy and healthy, and your family and friends want and need you to be happy and healthy. Remember, what you think and do now will shape your future more than purely what has happened in your past. Beardslee, W. R., Versage, E. M., & Gladstone, T. R. G. (1998). Children of affectively ill parents: A review of the past 10 years. Journal of the American Academy of Child. Adolescent Psychiatry, 37, 1134–1141. Slominski, L. , Sameroff, A. , Rosenblum, K. and Kasser, T. (2011), Longitudinal Pathways between Maternal Mental Health in Infancy and Offspring Romantic Relationships in Adulthood: A 30‐year Prospective Study. Social Development, 20: 762-782.